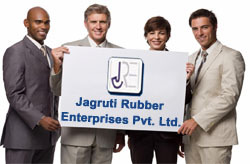 Established in the year 1983, JAGRUTI RUBBER ENTERPRISE PVT. LTD., one of the leading Company in Manufacturing & exporting of all-purpose Rubber Conveyor Belts, PVC Conveyor Belts, Power Transmission Belts, Cable/Haul off belts, Rubber Sheets, Rubber Profiles, Coated Fabrics, Conveyor Systems and Accessories Like Idiver Roller Pulley Fasteners Vulcanizing Solutions etc., was started by young and Dynamic technical team having more than a decades experience. 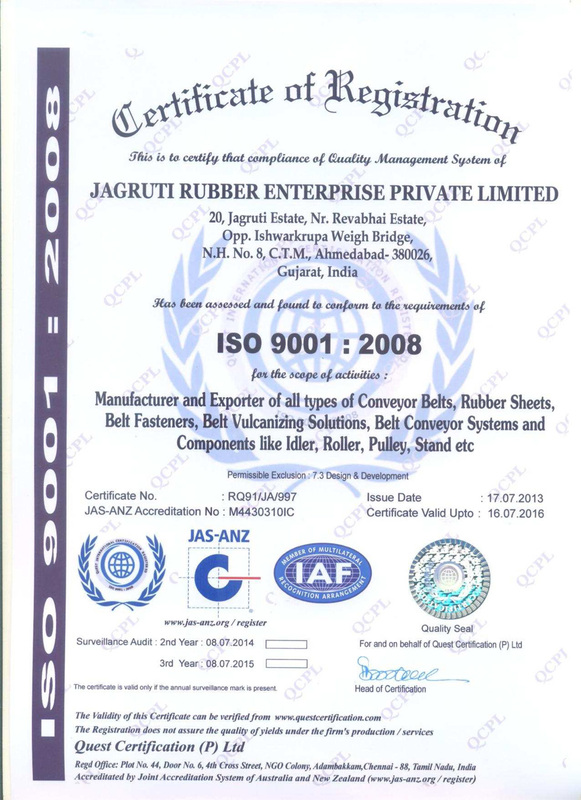 THE OBJECTIVE of the company was to manufacture, market and develop Conveyor Belting according to the specific requirements of particular industries, bringing in both quality and reliability built into them backed by unmatched service support More….